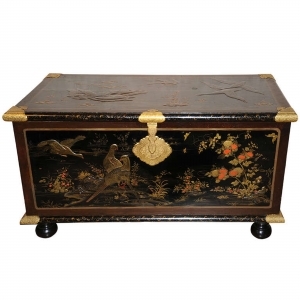 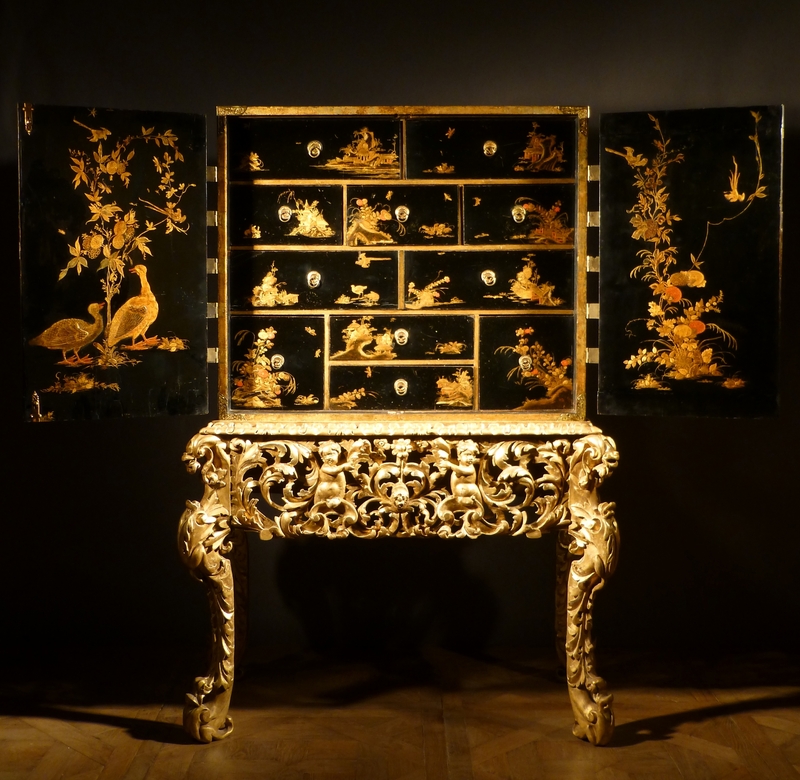 The cabinet with two doors issuing pierced floral engraved gilt mounts, depicting Chinese figures in landscapes, flower sprays and various birds, enclosing an interior of eleven variously-sized drawers with simulated Nashiji decorated interiors, on a pierced foliate-shaped stand issuing putti, shells and acanthus leaves. 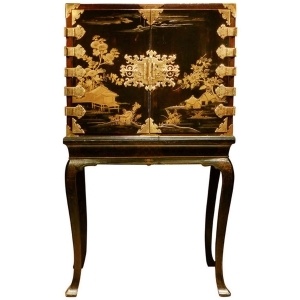 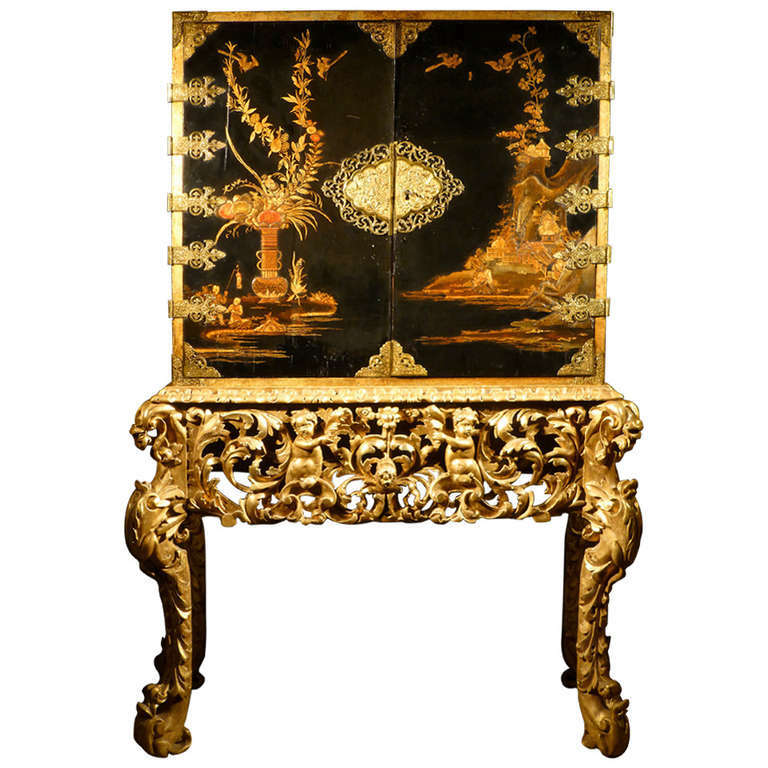 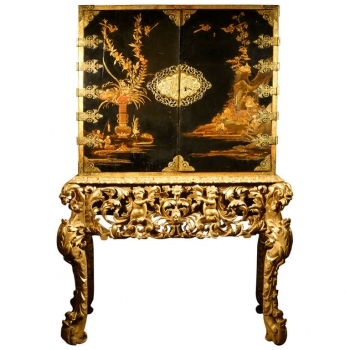 This magnificent cabinet, japanned in bas-relief with golden Chinese garden landscapes and gilt-enriched in the so-called 'India' fashion, imitates the Japanese lacquer cabinets shipped to Europe from the mid-17th century by East India Trading Companies. 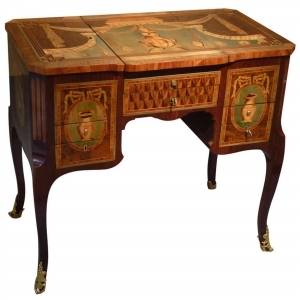 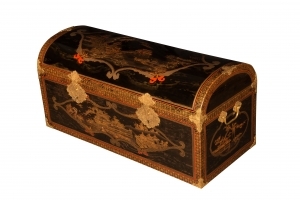 Its stand is conceived in the French Louis XIV 'Roman' fashion, popularised in the late 17th century by engravings such as those issued by William III's Paris-trained architect, Daniel Marot (d. 1752).